No need to wait for a luxury vacation, upgrade up your seat from coach to first class. Should your daily activities hit a bump, Sunset Trading’s Americana Slipcovered Furniture Collection is the best living room seating for your kids to play and your pets to jump. All your living room ideas are possible, track arms complement your contemporary loft or industrial inspired space while slipcovers fashion a breezy beach-chic home base. Designed for today’s lifestyle with just the right touch of tranquility and elegance, all Sunset TradiDZ545:EB659de fees for. Slip covers and coordinating pillow covers, with multiple fabric options, can be easily removed from all pieces for cleaning. 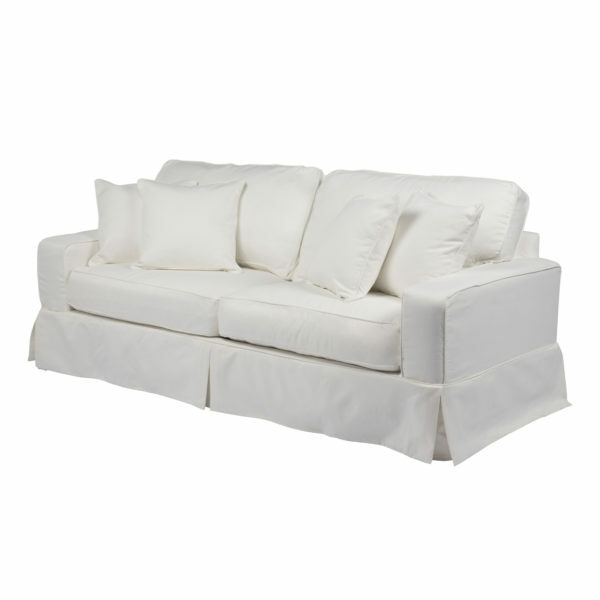 Be confident with your investment, knowing we are a solid company, located in the Northeast United States for over 25 years, your replacement and additional slipcovers will be available anytime. It has never been easier to personalize and revive your living space, creating a haven of comfort and style your family and friends will be sure to enjoy.